Alert: SAP HANA customers can cut down on the coffee! Forget about reading through over 80 pages of alerts and recommendations each week. Here’s an easier way to consume critical operational information, leading to improved stability and performance of SAP systems. 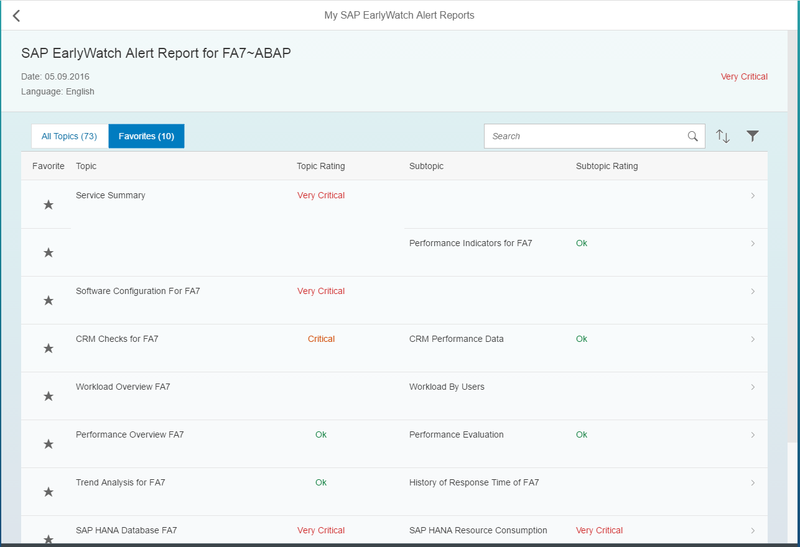 We’ve invented two new SAP EarlyWatch Alert apps. This standard SAP Fiori app is delivered in Solution Manager 7.2 SP3. It’s also available as the cloud application ‘My SAP EarlyWatch Alert Reports’. There’s no further prerequisite than sending a weekly data download from Solution Manager or directly from the monitored system. Since this process is preset for most of productive SAP HANA systems, nearly all customers can use the cloud app without additional set-up. What’s new: This app comes with personalization features. Customers can define their favorite SAP systems and favorite alert watch topics, such as SAP HANA administration or security. These global settings are automatically applied to every new report the user opens. This app is available as the cloud application ‘SAP EarlyWatch Alert – Analytical Dashboard’ in the SAP One Support Launchpad. What’s new: It features a new format with tiles for important KPIs on a dashboard. It primarily covers performance, as well as SAP HANA technology KPIs for hardware capacity planning and performance tuning. 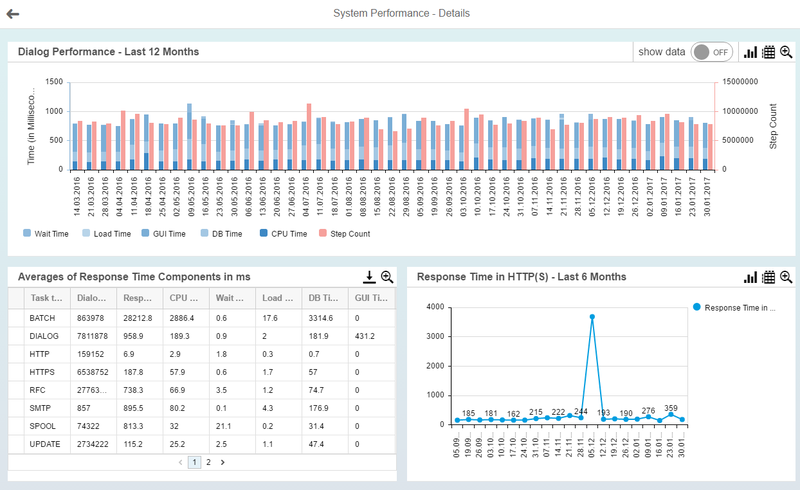 Clicking on the dashboard tiles will provide charts with time series for KPIs, such as SAP ABAP response time, SAP HANA database size on disk, SAP HANA memory utilization, and SAP HANA computer consumption. The CPU Utilization chart covers the timeframe of the last week. All others show up to 12 months of data. The key difference compared to other reporting tools is that the SAP EarlyWatch Alert service provides ratings using standard thresholds. The used KPIs are documented in the SAP KPI catalog, which provides full background information on definition, measurement, and thresholds. Thank you for introduction, please provide the steps to add new system in clod app. What is authorization level required to add the system in cloud application? new systems are automatically added, when SAP receives a new EWA download from SolMan / SRSM / FRun or from the monitored system directly. In SolMan 7.2 the flag “Send data to SAP” has to be set in EWA Configuration. Thank you Susanne. I will have look. Thank you Sussane, Nice blog! Is there a possibility to add tile EWA weekly report tile directly on SAP Solman Launchpad? Yes, this is explained in SAP Note 2517661.